City of Simi Valley leaders with the OpTerra project team that built the municipal solar array. The Simi Valley Police Department unveiled a new rooftop solar array and solar canopy parking structures that are expected to net it $15.5 million in savings over the next 20 years. 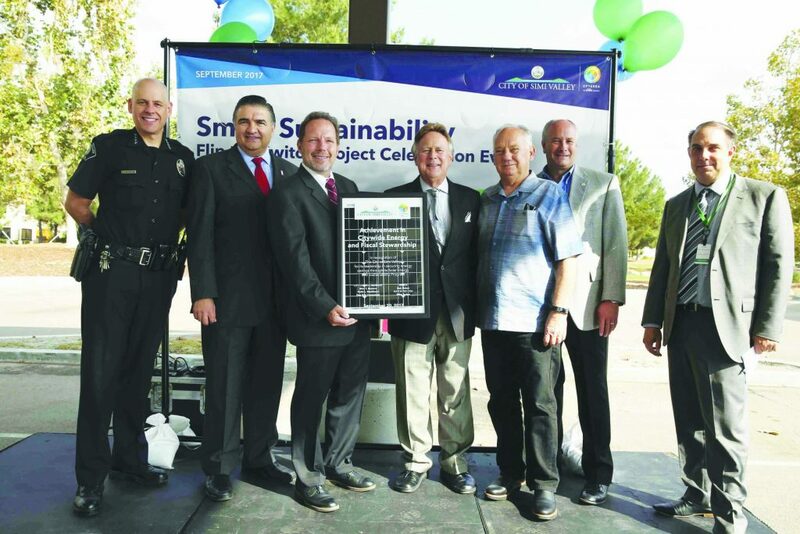 The project will provide renewable energy to a third of the city of Simi Valley’s municipal facilities, the city announced after a ribbon cutting event on Sept. 21. A Pasadena team of OpTerra Energy Services, based in Oakland, installed the 2.2 megawatt solar array, which extends over the City Hall, police department, library, senior center and water quality control plant. 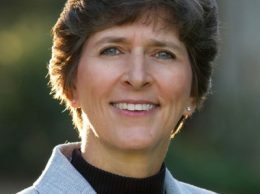 “Through a successful, united partnership, the city of Simi Valley and OpTerra have achieved a fiscally and environmentally advantageous program that will have long-term positive economic and human impact in the community,” John Mahoney, OpTerra president and CEO, said in a news release. The project also generated 15 internships for Simi Valley high school students, including for a joint energy conservation awareness program between the city and OpTerra called Simi Valley Conserves.